This year I'm running a few races for the forth consecutive time. One of those races is the New Hyde Park 8K that takes place tomorrow morning. 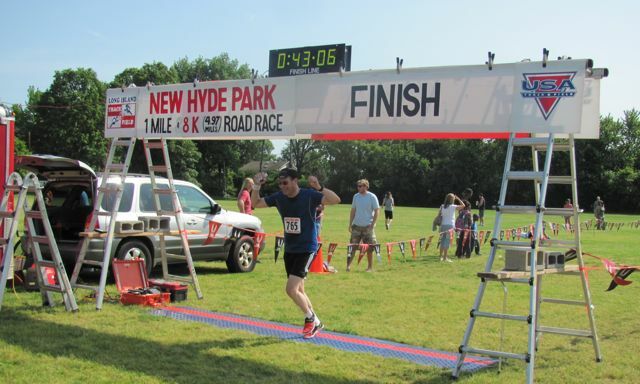 Long Island, where I live, offers numerous racing events, mostly 5K's, between March and July. Every time I attend a race I'm handed fliers (or I find them on my windshield) that promote an upcoming race. But for some reason I find myself running in the same races every year. I suppose this has something to do with the comfort of knowing what to expect from the experience. It also helps that I get to know the course a little better with each race. The NHP 8K is a nice, well organized event with a fast (if unremarkable) course. The first time I ran it, in 2009, I went out too fast and almost bonked around mile 4. Last year was a much better experience. Running the same races, year after year, has its benefits (including the fact that it provides a way to benchmark performance), it's also fun to try new events. Last year I ran the Town of Oyster Bay and Ho Ho Holiday runs (both 5K's) for the first time. 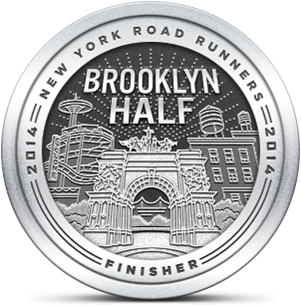 These races were worth repeating and I plan to do that this year. I'd like to try a new race this year, but I'm not sure where or when I could fit another into my schedule. After all, I'm not going to give up my Cow Harbor or Dirty Sock weekends for anything else. Why do I walk so fast and run so slow? BH Fitness elliptical parts are 75 days late!